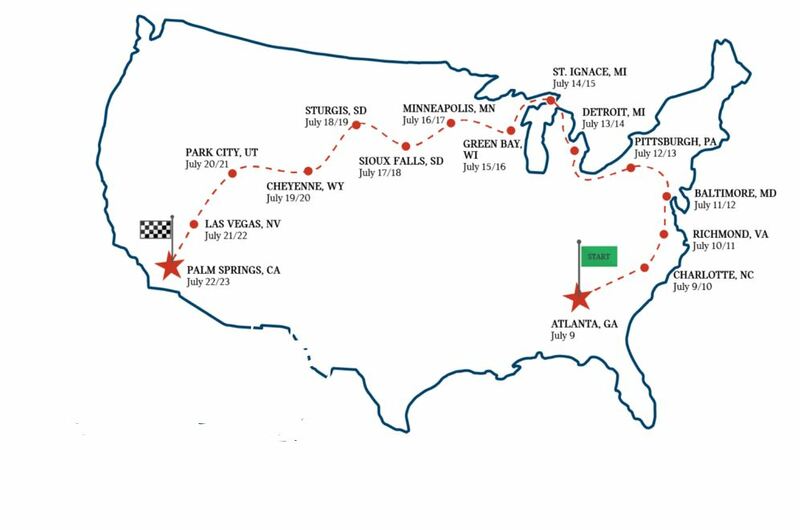 MINI TAKES THE STATES 2016 will take place from July 9 to July 23, 2016. MTTS 2016 will begin in Atlanta. Start your engines at Road Atlanta to kick off the 10th anniversary of MINI TAKES THE STATES. Explore the backroads, curves and hidden gems of America from July 9 – July 23, 2016 crossing the finish line at the exclusive Thermal Club outside Palm Springs, California. Whether you join for just a day or go the distance, add motoring across America with a thousand other MINIs to your list of goals for 2016.